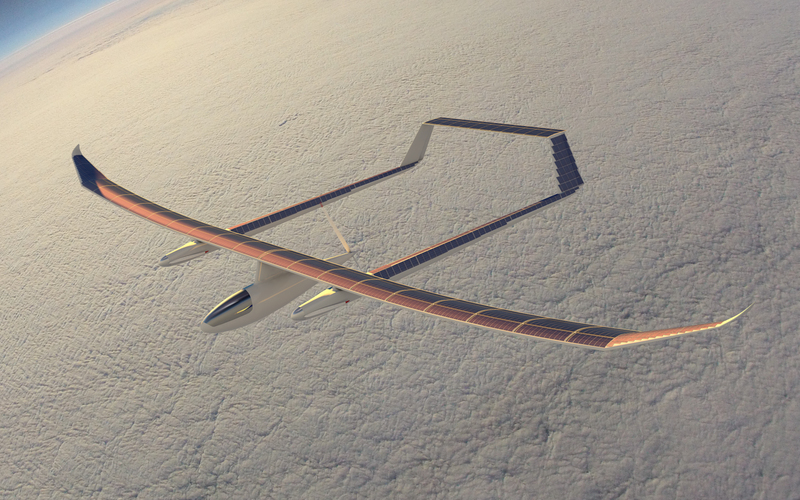 Drawing on our 28 years of experience designing, building and flying solar powered airplanes, this new configuration offers more performance potential than any of the other projects now under development. 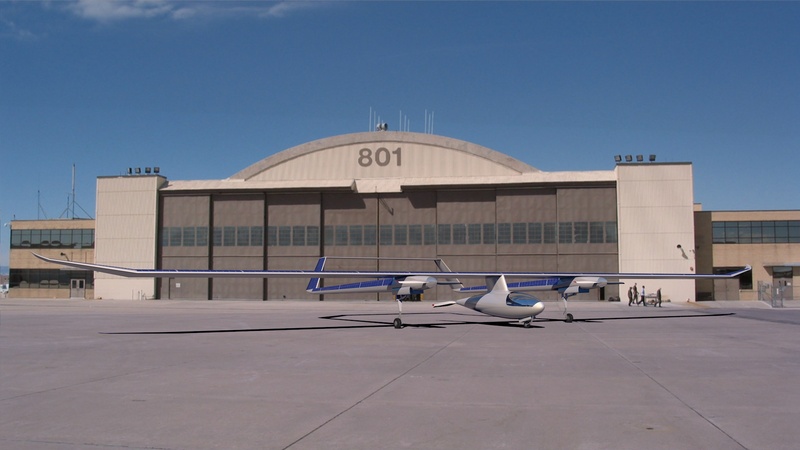 Using extensive laminar flow techniques, the SUNSTAR takes advantage of sailplane aerodynamic design philosophy to achieve the lowest possible power requirement to maintain flight at high altitudes. 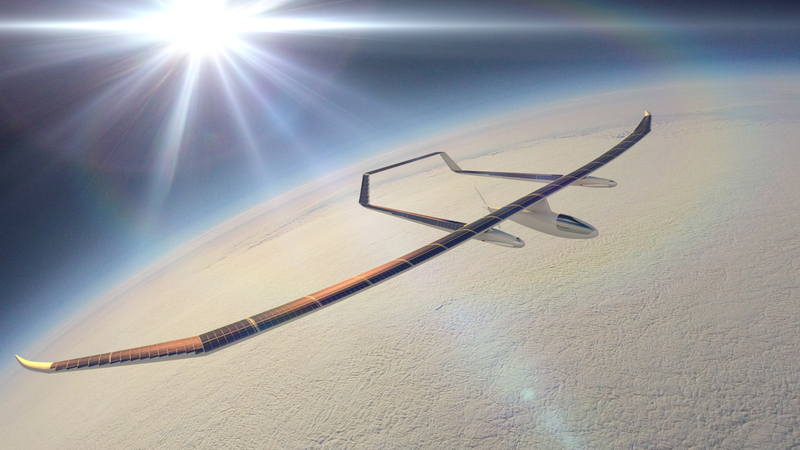 To enable solar powered flight in the widest range of conditions, the SUNSTAR has the best coverage of solar cells ever achieved for flight times running into months or even years. For maximum power at low sun angles some solar arrays are mounted on the sides of the aircraft. A three motor configuration was chosen for maximum reliability. The front mounted motors and propellers are optimized for lower altitudes, for take off and climb. After the SUNSTAR reaches its operational altitude, these motors are shut down, and the propellers fold back, out of the airstream. Station holding is done with the single pusher motor, centrally mounted with a large diameter propeller, optimal for high altitudes. This central motor is designed for the low power cruise condition, for minimal power consumption while on station. 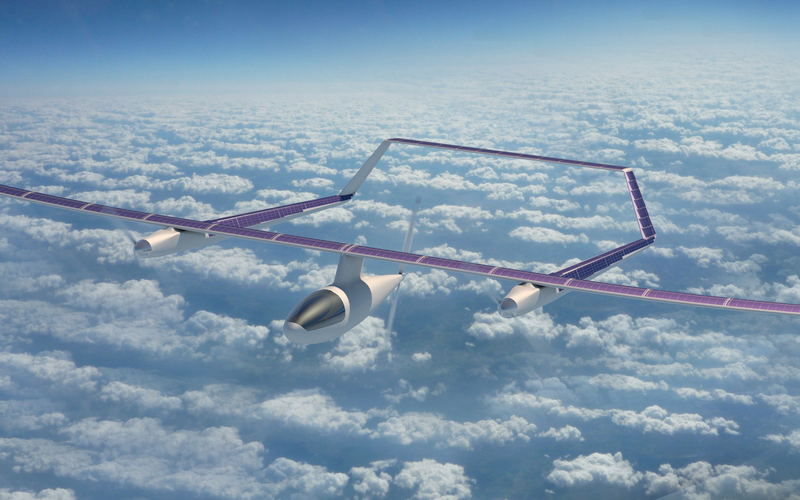 The SUNSTAR will be test flown initially with a pilot on board. From the beginning, all the controls will be “fly by wire”. Optionally manned will be the first step toward fully autonomous operation. The inclusion of a manned cockpit in the prototype allows much more freedom in testing, considering the restrictions placed on un-manned aircraft over populated areas. The SUNSTAR concept is a modular system which is configurable for a variety of missions. The central pod is interchangeable and options include a multi seat cockpit, or an un-manned instrument pod. A pressurized cockpit for the occupants is also in the planning stage. The wingspan can be changed for different missions, by eliminating some wing sections. Unlike some other drone projects, the SUNSTAR has conventional landing gear, so it can use airports and taxiways normally. 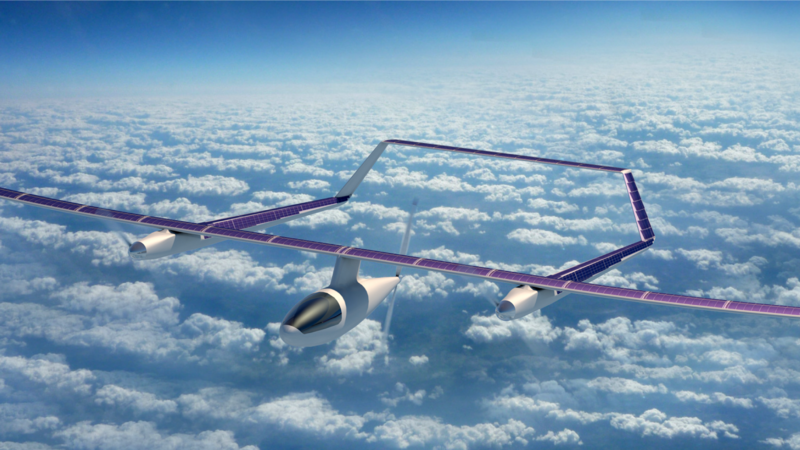 Prototypes of the systems for the SUNSTAR are already flying in Solar Flight’s flagship, the SUNSEEKER DUO. Strategic partners are invited to help define mission specific optimization and bring the project to completion.